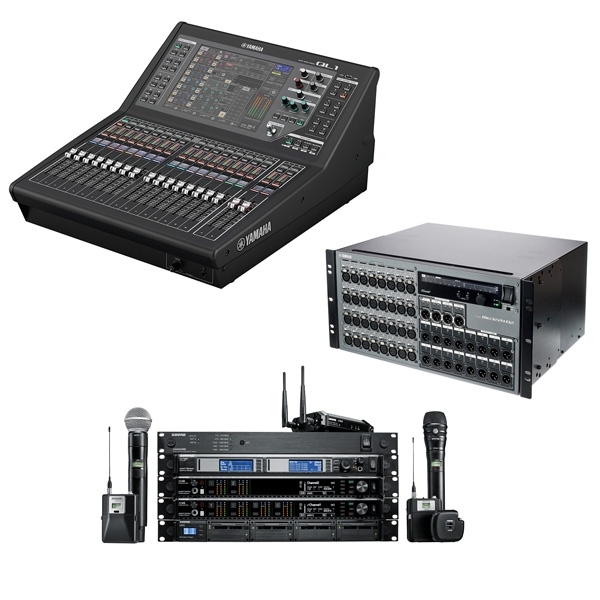 Pro Audio Rental - The latest in industry-standard audio equipment, and professional sound services to go with it. A great mix! Soundhouse carries a wide range of pro audio gear. You might need a simple, small format mixer and wired mic for wedding announcements and iPod duty, a compact but full-featured digital mixer with premium wireless mics for a panel discussion, or a full-on live band setup with a cutting-edge digital mixer and snake, and all the mics and stands to go with it. We've got it all, at the best rates, with the best customer service in metro NYC. Call us at 888-826-1299 or email rentals@soundhousenyc.com for more information, we're happy to set up a quote for you!